A new study ranks Iowa 34th in the country for cancer deaths linked to cigarettes. The American Cancer Society study released Monday shows cigarettes contribute to more than 1 in 4 cancer deaths in the U.S. Researchers analyzed health surveys and government data from 2014 and estimated that 27.8 percent of the cancer deaths in Iowa were linked with smoking. The rate is much higher in southern states where tobacco control policies are less strict and smoking is more common. 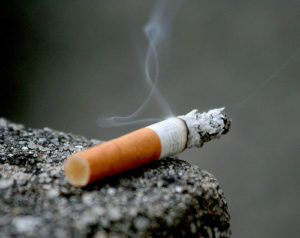 According to a survey released this year, around 18 percent of Iowans over age 18 smoke. That’s down from 20.4 percent in 2011.